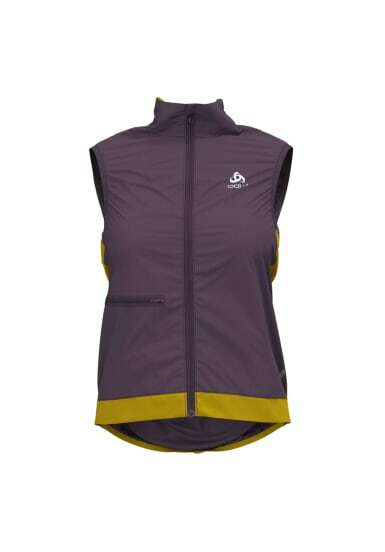 Boost your core protection this season with the Fujin vest for women, an outer layer with the power to put wind in its place so you can ride further in better comfort. Constructed from Mini Ribstop Wind fabric, this vest is extremely lightweight and breathable. A Logic Windproof front panel reduces the effects of wind head-on while a mesh back panel keeps you ventilated and cool when you’re in the saddle. Pack the Fujin vest away in its own compact pocket and be prepared for your next spring ride.